The S78G is designed & manufactured in a smallest form factor -SiP (System in Package). 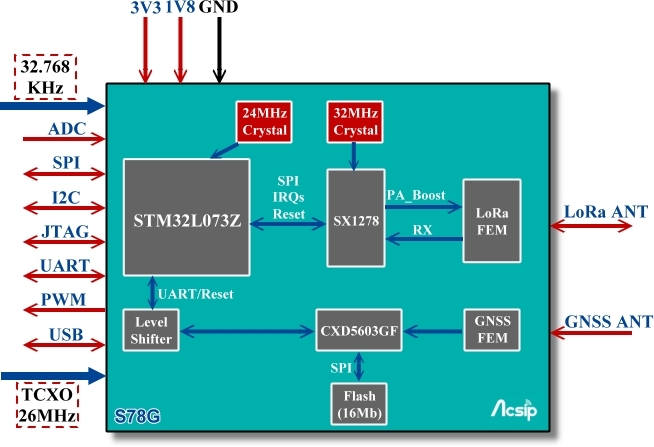 It integrates with SEMTECH SX1278 and a 32-bit ultra-low power Cortex M0+ MCU (STM32L073x), S78G supports global 433MHz or 470MHz ISM-Bands. Capable of 2-way communication and reach over 16 km (10 miles) distance in our field test. Besides, S78G contains a GPS chip –SONY CXD5603GF which is used to receive GPS/GPS+GLONASS signals for positioning. 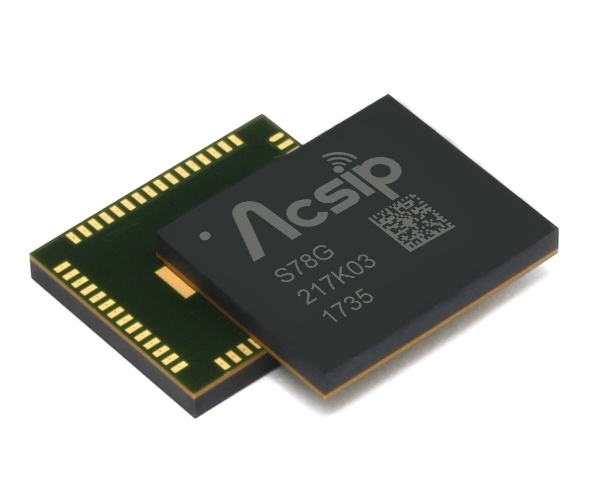 This product is designed with multiple easy to use interfaces (I2C/SPI/UART/GPIO), fine-tuned RF performance and will be offered with complete SDK library & ready to go HDK, it can significantly help the users to shrink the size of end device and simplify the development efforts for any LoRa applications.